Ottolenghi, Yotam (2011-07-22). Plenty: Vibrant Recipes from London’s Ottolenghi (p. 196). Chronicle Books LLC. Kindle Edition. Fill a medium saucepan with cold water and bring to the boil. 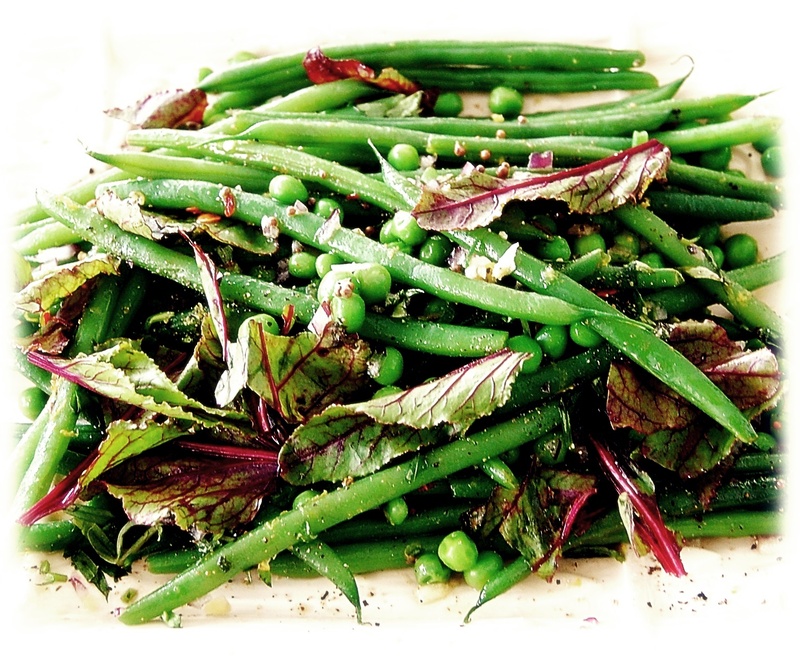 Blanch the green beans for 4 minutes, then immediately lift them out of the pan and into iced water to refresh. Drain and dry. Bring a fresh pan of water to the boil and blanch the snow peas for 1 minute only. Refresh, drain and dry. Use the same boiling water to blanch the peas for 20 seconds. Refresh, drain and dry. Combine the beans, snow peas and peas in a large mixing bowl. Put the coriander seeds, mustard seeds and oil in a small saucepan and heat up. When the seeds begin to pop, pour the contents of the pan over the beans and peas. Toss together, then add the nigella seeds, red onion, chile, garlic, lemon zest and tarragon. Mix well and season with salt to taste.